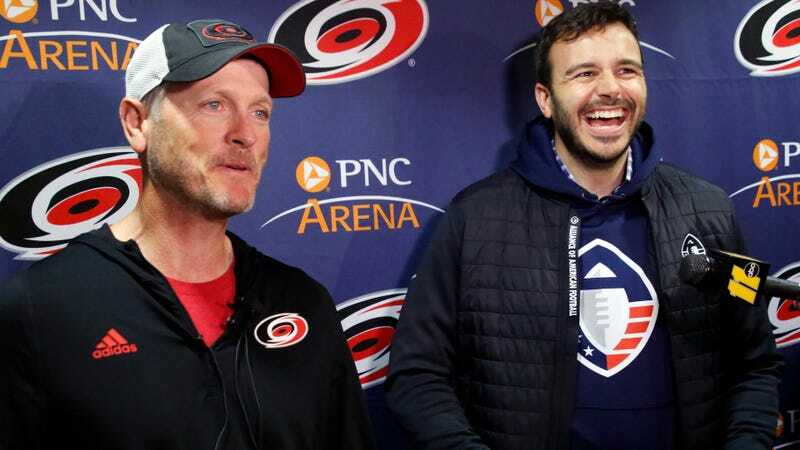 Alliance of American Football majority owner Tom Dundon told USA Today that his league might have to fold after only one season without more direct support from the NFL. Dundon, who also owns the NHL’s Carolina Hurricanes, specifically called out the NFL Players Association for not pushing more young fodder over to the AAF for development. The person said the players’ union is founded on the belief that using active NFL players and practice squad members for the AAF would violate the terms of the CBA and the restrictions that prevent teams from holding mandatory workouts and practices throughout the offseason. The limitations set in place are designed to ensure the safety and adequate rest and recovery time for football players. But there’s a concern that teams would abuse their power and perhaps force young players into AAF action as a condition for consideration for NFL roster spots in the fall. There’s no reason for players on NFL rosters to risk catastrophic injury while playing for a team that is not in the NFL. Even the third-string QBs and developing linemen the AAF has specifically asked for have more to lose than gain by playing AAF games. The NFL would theoretically benefit from a domestic developmental league, but it should actually be official and offer real support if it wants to convince on-the-bubble players to take that route. Dundon’s warning to shutter the AAF so he can keep the supply of meat coming isn’t as threatening as he might think it is.